This new line of V type compact condensers is suitable for refrigeration and air conditioning installations. Thanks the reduced height of only 115 cm, this range of condensers is suitable for installations in residential areas or historic sites where the external units should be easily hidden. 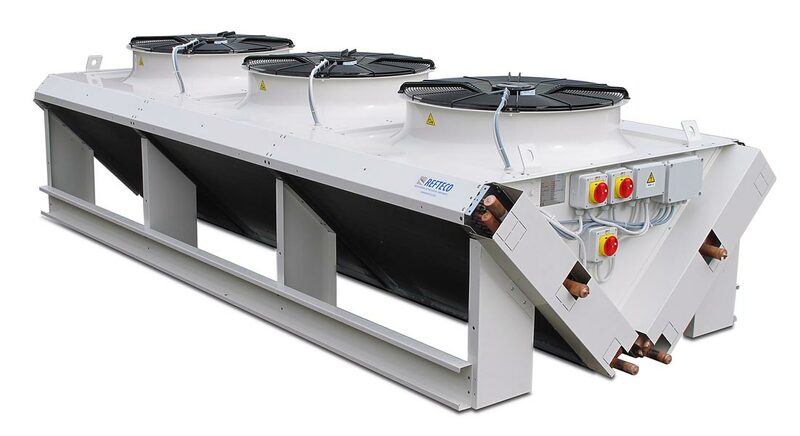 This range of condensers has standard configuration with two refrigerant circuits and it’s equipped with heat exchangers that provides very efficient heat transfer with reduced refrigerant volume even for very low fan speed rotation.